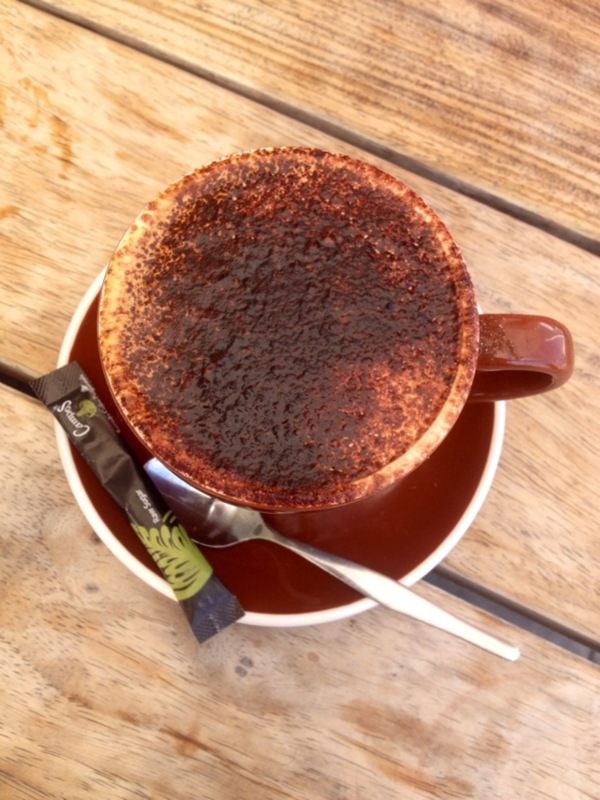 If you’re in need of a quick coffee on the go then Bib & Tucker probably isn’t the place for you, but if you’ve got time to kill to sit and enjoy the stunning view of Leighton Beach then head on down. Nestled alongside the Fremantle Surf Lifesaving Club and a brand spanking new apartment development Bib & Tucker is in the perfect location. Locals and beach goers filled the sleek looking restaurant, famously co-owned by Olympian Eamon Sullivan. My friend D and I were offered prime location for a coffee and catchup – outside in the sunshine and beach views. Amazing. Now I haven’t been to Leighton Beach for years since pre-development, so I was in awe of how quickly the area had changed. Although I have been keen to try B&T’s breakfast menu D and I were just after a coffee hit, so we quickly ordered our regular poison with a slightly bored looking waitress. I’m usually very lucky with waitstaff but this girl was sour, dampening our experience. If I was paid to stare at the ocean all day I’d look happy, right? While we did wait a good 25 minutes for our coffee, when it finally arrived it was almost nearly worth the wait. My soy long macchiato was served in a glass (like every long mac should be), alongside a piping hot bottle of frothy milk. 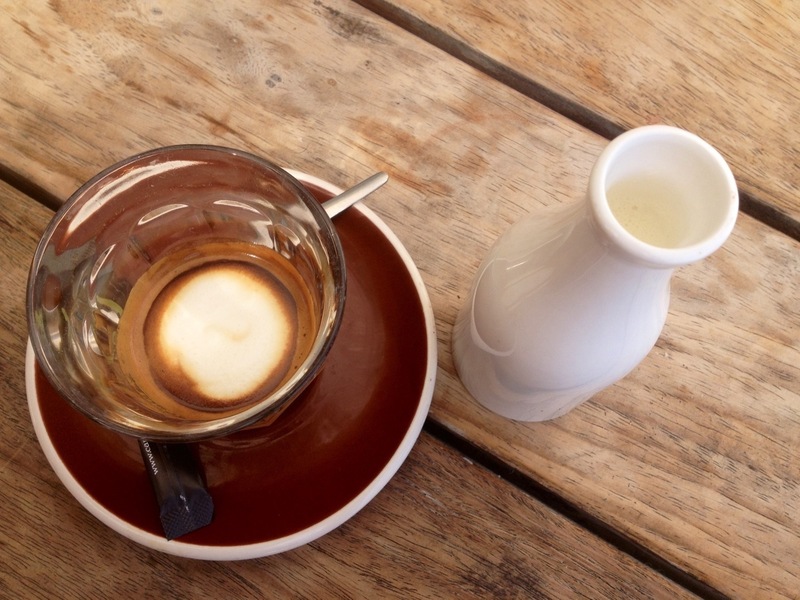 The coffee was on point – strong and creamy. It was fun to “top up” my coffee to my own liking. Note: the milk bottle was stifling hot – scarves make a good tea towel for pouring or give it a few minutes. 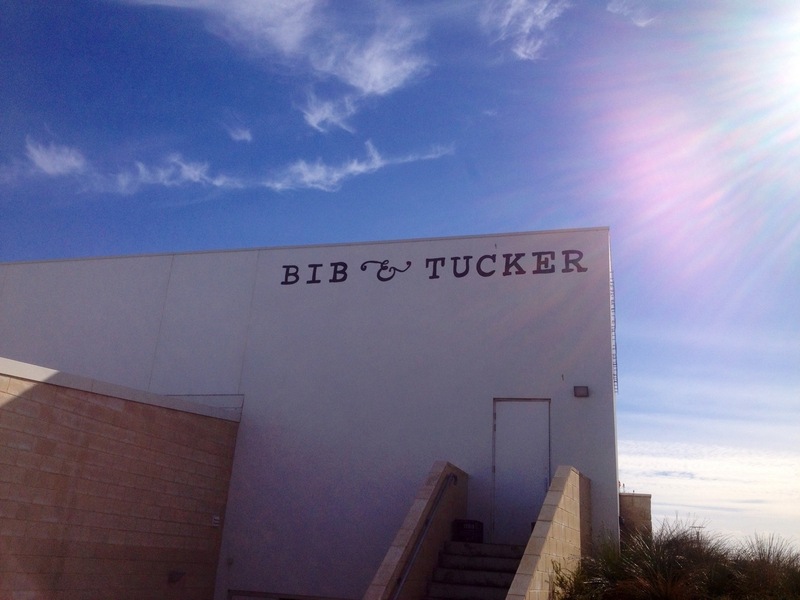 I’ll definitely be back to Bib & Tucker, that ocean view was worth the grumpy waitress and long wait for drinks. Hopefully next time it’ll be running a little more smoothly. 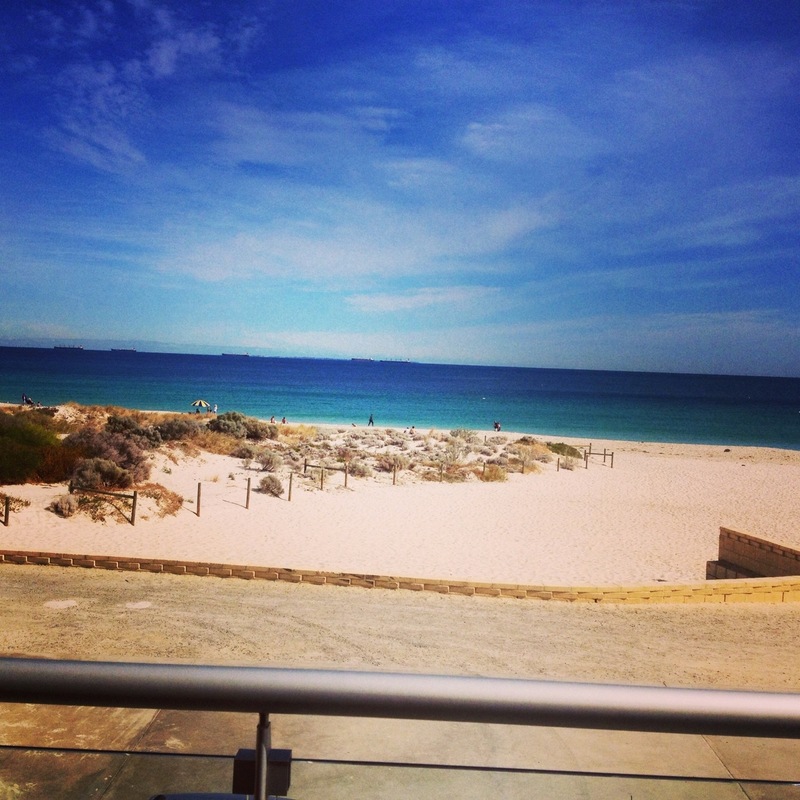 Which restaurant do you think has the best view in Perth? Good, happy waitstaff truly make all the difference. Takes less effort to smile than it does to frown. It makes SUCH a difference to me T! If I find the service bad I won’t go back. You’re right. I guess the view totally cancels out the wait and the grumpy waitress haha. on City Beach open next year with 3 new cafe/restaurants Then they will have to lift their game!!! I hope so! They’re in the perfect spot, they should be happier about that!